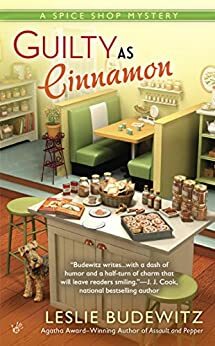 Meet Cozy Author Leslie Budewitz! 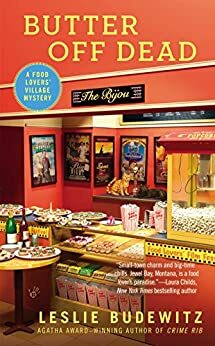 Leslie is the author of The Spice Shop Mysteries, set in Seattle’s Pike Place Market as well as the author of The Food Lover’s Village Mysteries featuring Erin Murphy and The Merc in Jewel Bay, Montana. 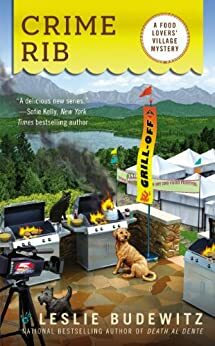 Music and festivals are a big part of my life in Northwest Montana, and I’m delighted to share the fun with readers near and far. 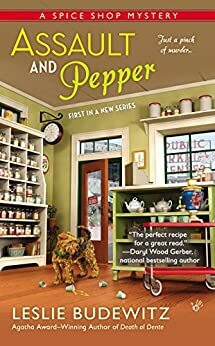 I’m also the author of the Spice Shop Mysteries, set in Seattle’s famed Pike Place Market. 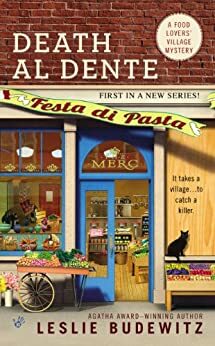 The first Food Lovers’ Village Mystery, DEATH A DENTE won the 2013 Agatha Award for Best First novel. 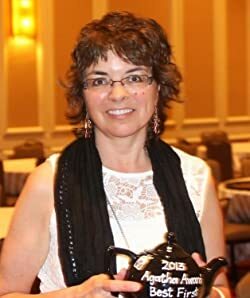 That followed my 2011 Agatha Award for Best Nonfiction for BOOKS, CROOKS & COUNSELORS: How to Write Accurately About Criminal Law & Courtroom Procedure, drawing on my thirty-plus years as a lawyer—and making me the first author to win Agatha Awards for both fiction and nonfiction. I’m the past president of Sisters in Crime, and passionate about writers helping other writers. I love to cook, eat, hike, travel, garden, and paint—not necessarily in that order. I lives in northwest Montana with my husband Don Beans, a doctor of natural medicine, and our gray tuxedo cat, an avid bird watcher. For seasonal updates, please visit my website, http://www.LeslieBudewitz.com, and click on the newsletter tab to sign up for emails about new releases, launch parties and other fun goings-on, and book giveaways. Subscribers get a free short story to keep up with the characters from the Food Lovers’ Village Mysteries! 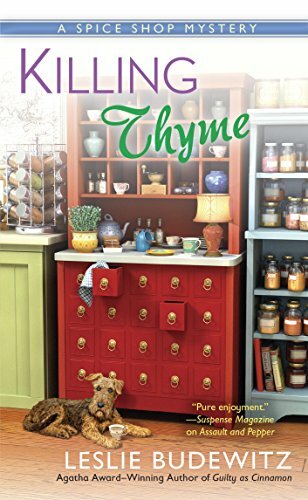 There really is a Cozy Mystery for all interests and parts of the world. If you have an interest or a hobby, there’s a book for you somewhere! I’m excited to read something set in a place I have actually been! I know! Those are the best ones!! She seems to have a good following! I have the Assault and Pepper to read. Love the titles. I have a friend who collects cook books. One of these would fit right in. Going online to order now as a Xmas gift. Oh yes! I also collect cookbooks. To read. Like a good Sci-Fiction book. Not like I’m going to cook anything! She is awesome… I love her books! 🙂 thanks for sharing this one. Oh good, I like when we agree!! hah! it’s a good thing. I respect your taste in books! You are too kind! I have such eclectic taste, sometimes I confuse myself. I’ve been away from cozies too long… starting a new one this weekend from an author who asked me to help her promote. Looks interesting. Erin Johnson Seashells, Spells and Caramel. I read it! I have the second one! I have to go look for your review. I suppose it’s good if you are on the second! I haven’t done it.She told me she would shoot me an email when she wanted it posted. It was better than a lot of established authors! haha! I know that feeling. I’ve connected with a few good ones, but not always.